In an attempt to discover this magical and mysterious country I take you to the “HEART of INDIA”, Mandu in Madhya ( “madhya” literally translated from Hindi means centre) Pradesh . 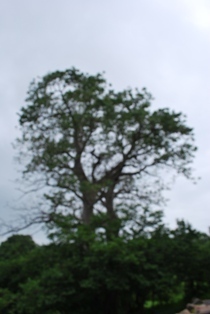 In this write-up I speak exclusively of the stories our flora reveals , specifically the Baobab trees here. Mandu tells you tales of romantic love stories of an era long gone by. The intense love of the past however has left behind beautiful palaces which sing romantically as the rains caress them during the monsoons. Along with the palaces ( now in ruins ) you see flourishing giant mysterious trees with their girth in excess of 10 m ( 35 feet) and a height of 25 m ( 75 feet) .All is strange or extraordinary about them. Enormous football sized fruits swing from their branches.The flowers hang upside down. They flowers bloom at night ( after sunset) and fruit bats pollinate the flowers. These are the magnificent and strange Baobab trees , are some older than the palaces? They are supposed to have a life of up to 3000 ( three thousand) years. 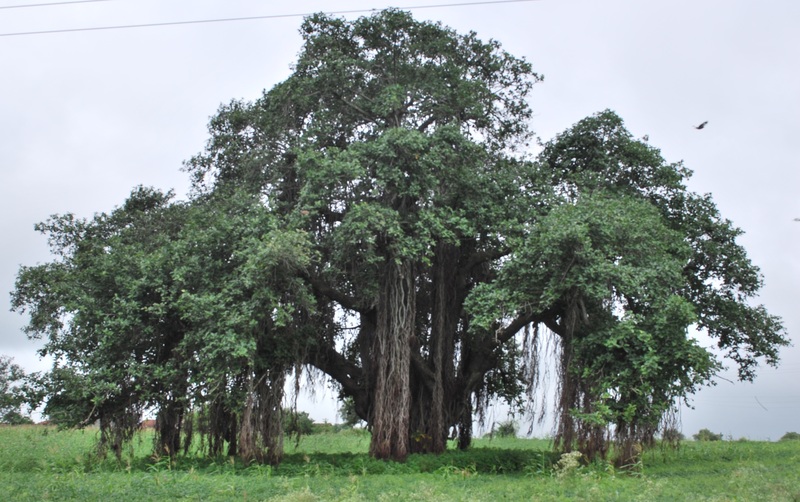 What is mysterious is the presence of the gigantic Baobab ( Adansonia digitata ) trees which crown the landscape of Mandu. 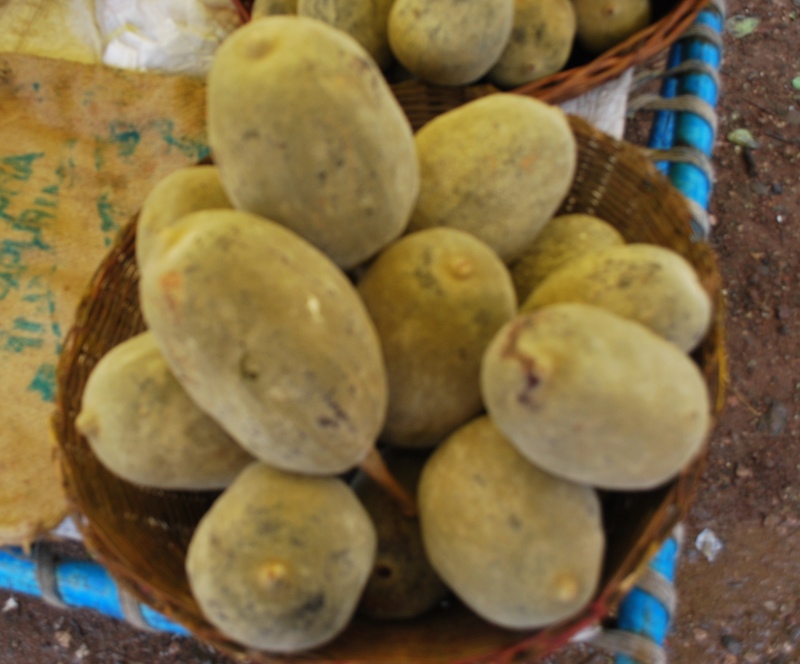 Amazingly Baobab fruits are sold on the streets of Mandu even today. How did they migrate from these faraway lands, who brought them ? Whats the link between these romantic palaces and these gigantic foreign trees ? Baobab trees are native to sub Saharan regions of Africa with very little precipitation. 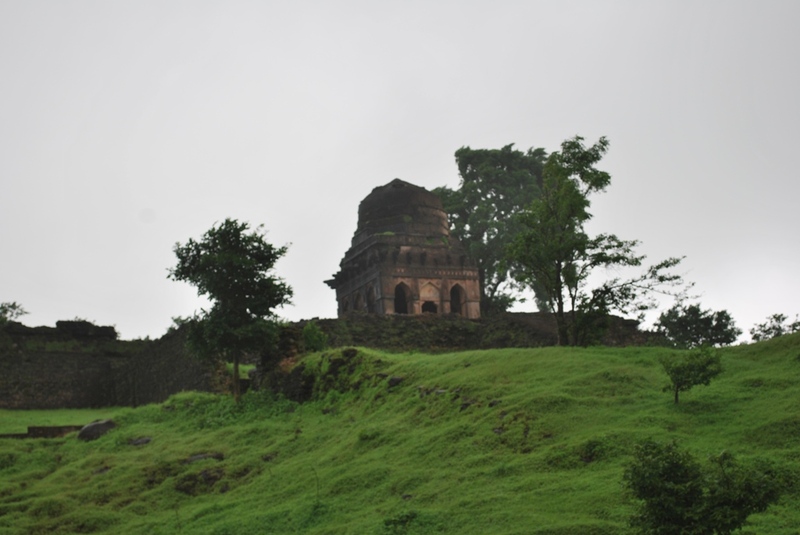 Yet they flourish in Mandu where the rains are bountiful and humidity levels very high turning the landscape into one colour “GREEN”. Very little information is available with the locals guides and people about these trees. 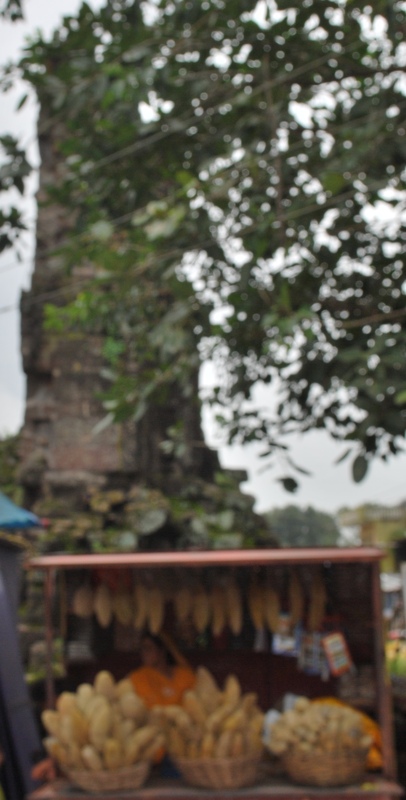 Most tourists are not even interested and unfortunately a large number would not have even seen them. I wish to show you what you are missing. Many books link them to Arabian traders, but Mandu is no trading port. Its 1000 kms from the nearest sea port. By this logic Kerala ( the first trading ports with Arabia) should be littered with Baobab trees, but find me ONE Baobab tree in the state.Where are the Baobab trees in Delhi, once capital of “Mughal India “? What stories do these enormous ancient trees hide? Lets unravel these mysteries as we travel to the HEART OF INDIA. the fruits are the size of watermelons. Do write to me at chandmukul@gmail.com if you have a viewpoint. Lets discover the magic of our flora as we traverse this ancient land.